The Maritim Antonine Hotel & Spa is the perfect getaway in Malta for couples looking to take a break from normal day-to-day living and soak up the Maltese culture together. There are countless things to do and see for anyone and everyone, whether that be exploring underwater while scuba diving or relaxing and rejuvenating with a professional spa treatment. Couples from all over the world come to Malta and to the Maritim Antonine Hotel & Spa to make lifelong memories and enjoy life to the fullest. Everyone is welcome so book online today! There’s something for everyone at the Maritim Antonine Hotel & Spa, which means there is plenty for couples to enjoy too. If a peaceful Malta holiday is the plan then the popular hotel spa should be the first stop; there’s simply no better way to relax than with a spa facial and a tasty drink in hand. Be sure to also spend an afternoon or two on Mellieha’s fantastic beach and get a nice holiday tan to take home. Then, in the evening, why not enjoy some romantic dining and drinks at the Maritim Antonine Hotel’s very own recommended restaurant? It’s a terrific way to round off the day. Looking for something more active? There’s a vast array of activities to get involved in both at the Maritim Antonine Hotel & Spa and in the village of Mellieha. Like working up a sweat together? Hit the fitness centre. Fancy taking in the Maltese sights together? Hire some bicycles and ride together for the day. Want to explore the depths of the sea with one another? Go and take part in some diving. There’s no time for boredom during a stay at the Maritim Antonine Hotel & Spa. The Maritim Antonine Hotel & Spa offers over five different types of rooms that are perfect for both single people and couples alike. Depending on personal taste, some couples may prefer something spacious with a balcony, while others may prefer a comfortable room with a stunning view. Whatever it is a couple finds important when it comes to accommodation, the Maritim Antonine Hotel & Spa has a place just for them. Some things you can expect to find in a first-rate room offered by the Maritim Antonine Hotel are warm and comfortable beds, fantastic décor, and hygienic personal facilities. Only high-quality furniture can be found in Maritim Antonine Hotel rooms, this ensures that guests feel right at home during the duration of their stay. With the attention given to individual decoration, all rooms available to book are filled with delightful décor to please the eye. 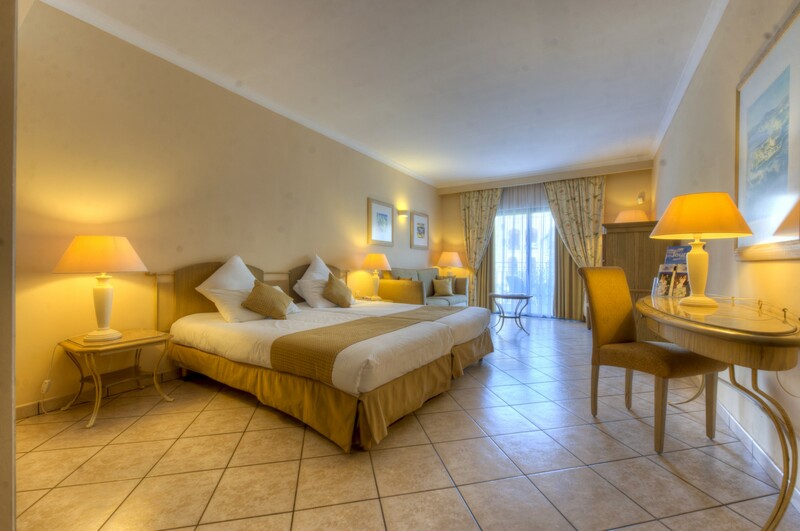 As one of Malta’s most recommended premium hotels, expect consistently clean and hygienic living spaces all-year-round. Everything Malta has to offer, from its beautiful scenery, unique atmosphere, and lovely warm weather combined with the hospitality of the Maritim Antonine Hotel & Spa, makes this holiday option an unforgettable experience. Many couples from all over the country travel to Malta every single year as it is a premier holiday destination. Leaving the stresses of daily life behind for a short spell to spend quality time with one another is both important and invaluable, so be sure to spend this time somewhere fantastic. Choose Malta this year and join the growing number of other couples who have had an incredible experience in Mellieha staying at the Maritim Antonine Hotel & Spa.